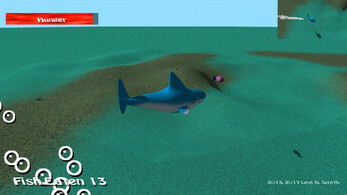 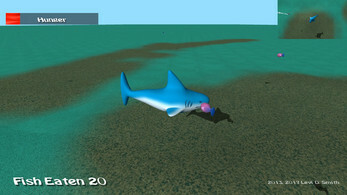 Shark Food was developed for the Shark Jam game jam. Many updates have been made for 2017. 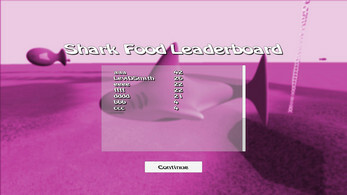 Eat as many fish as possible before the hunger meter runs out. There are now two types of fish that can be eaten. 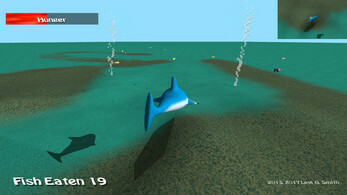 Eating the larger fish will restore more of the hunger meter. 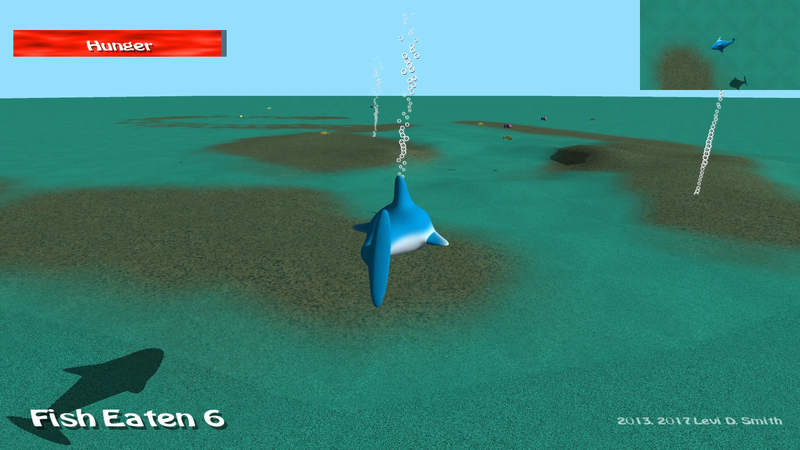 Fish spawn at the air bubble locations and then move out in random directions. 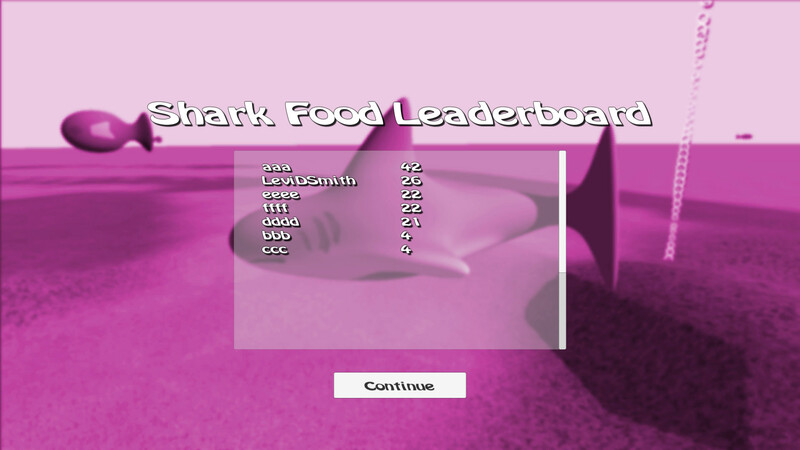 How many fish can you eat before the hunger meter runs out?